Hopper Opening..31 1/2" x 23 3/8"
Blade Bolt Torque......135 ft. lbs. Hitch........(class 2) 2" Ball-3500 lb. cap. 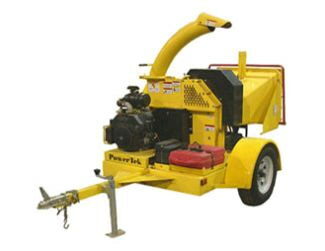 Anvil..........1/2" x 3 7/16" x 12 1/2"
Discharge Distance.........Up to 20 ft.
* Please call us for any questions on our chipper 7 inch rentals in Cedar Rapids IA, Iowa City, Mt. Vernon, Marion, Hiawatha, and eastern Iowa.